Home › Toys › Wishtime Doodle Sketch Learning Toy Erasable Colorful Magnetic Drawing Board ..
Wishtime Doodle Sketch Learning Toy Erasable Colorful Magnetic Drawing Board ..
Wishtime Classic Doodle Writing Craft for Children Kids This Color Doodle board with color screen, is perfect to play games like (tictac toe) or to write messages to your friends or just draw you're yourimagination. 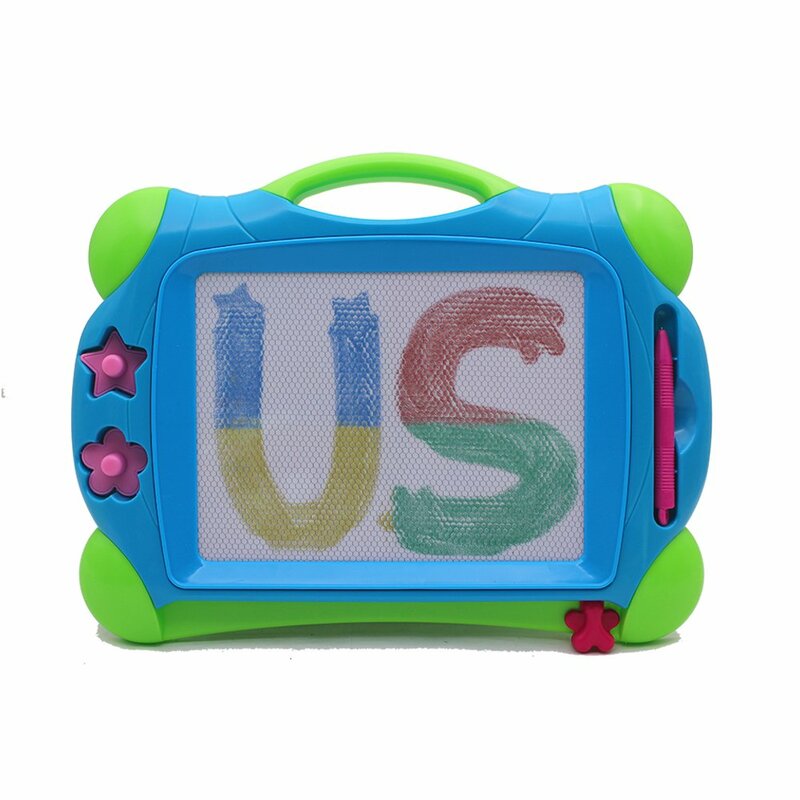 Draw, play, write over and over and just slide with the eraser knob to clearthe screen and start your creativity again. This item will keep your house clean cause it's no dirt or mess on the floorand also save you money of using paper. Every child would wish to get such a great gift as this and take it anywherethey go. Colors may vary. From the Manufacturer If you like this toy, our services, please leave positive feedback. We do ourbest to provide the best quality low price products. However, if you have anyquestions, please do not leave negative feedback, before you give us a chanceto help you.